Please note! If there are no custom fields added by a user, the above field will be blank. 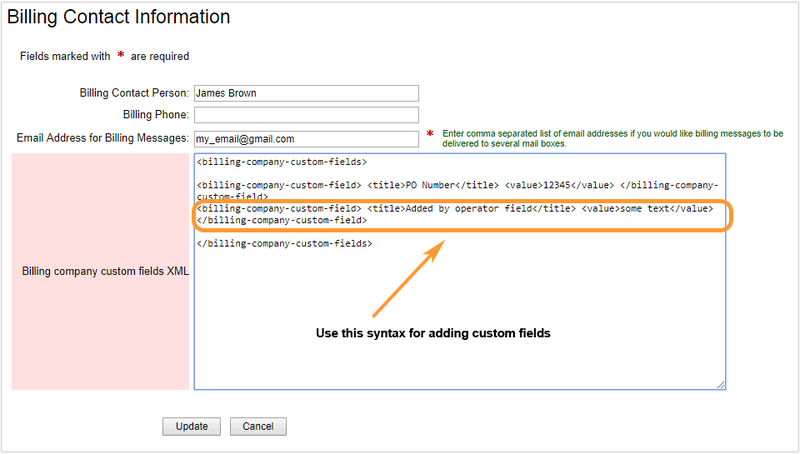 XML is added there only if at least one custom field is created by a user. In case you'd like to see how this works, you should log into the account with your regular credentials, account name and account password and add a custom field on the Billing / Billing Contact page. Then you'd need to log out and log into that account with your supporter password. After this you will see that XML will appear in the field. Please Note! Before adding the information, please ensure that it does not contradict with our Terms of Service.